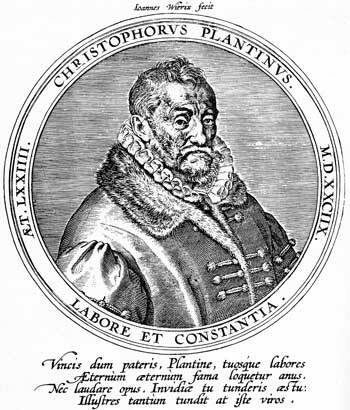 Christopher Plantin founded one of the most successful printing/publishing companies ever; the company in fact outlived him by almost 300 years. Plantin was born in Touraine (near Tours, France) around 1520. The place and date of his birth are uncertain; various dates are documented, including more than one by Plantin himself. His parents were not wealthy, and his mother died when he was a child, leaving him to be raised by a cleric of the church in Lyons. This allowed him to gain some education, though he never became a scholar. In the early 1530s Plantin and his father moved to Orleans and then to Paris; Plantin continued his studies in both places. Around 1534 the elder Plantin returned to Lyons and mysteriously vanished, leaving his son on his own. Plantin returned to Lyons to apprentice with a bookbinder, married a woman of his master's household, and completed his training. Around 1545 he and his wife moved to Paris and set up in business there. In 1548 they moved again, this time to Antwerp, where Plantin would live most of the time until his death in 1589. Paris in the 1540s was a dangerous place for anyone connected with printing. In an attempt to halt the spread of the heresy of the Reformation, king Henri II decreed severe penalties against anyone producing subversive literature. At least one printer was burned at the stake, and others fled the city or were banished. Antwerp must have seemed like a safe haven for a young man with asperations in the printing business. It was at the time a prosperous and relatively free city, a center of trade and culture, and by 1566 it had a population of 100,000.  It was also a center of the printing industry with many printers already long established. Plantin became a free citizen of Antwerp in 1550, a prerequisite to doing business there. In the same year he became a member of the Guild of St Luke, the guild responsible for painters, sculptors, engravers and printers. He set up shop as a bookbinder; there is little evidence that at this time he had significant skills as a printer. He also sold books and prints in his shop, while his wife sold draperies. Plantin had considerable success as a binder, receiving work from the city administrators and other notable people in Antwerp. He also did fancy leatherwork, producing such things as small cases and jewel boxes. One of these boxes was to change his life. Plantin had befriended a certain Don Gabriel de Zayas, a Spaniard who would later be a secretary of state for king Philip II of Spain. Zayas planned to send a jewel to the Queen of Spain, and commissioned Plantin to make a case for it, specifying that it had to be delivered. As Plantin and a servant walked with the case to the meeting place, he was attacked by drunken men who mistook him for someone else. Plantin received a sword wound in his arm, and despite the efforts of a surgeon, nearly died. After his recovery he found that his injury prevented him from carrying on his trade as a binder, so he became a printer. By 1555 Plantin was a master printer. He set up a small shop and printed his first book, a commission from Antwerp publisher Jean Bellère, titled La Institutione di una Fanciulla Nata Nobilmente. L'Institution d'une Jeune Fille de Noble Maison. Traduuite de langue Tuscan en François, a treatise on the education of young girls of good family. How Plantin became a master printer so quickly is unclear; he perhaps had some training in his Lyons apprenticeship, and may have trained under Jean Bellère either before or after his injury. Plantin continued to print books for other publishers, as well as to sell books and prints not only in Antwerp, but in Paris and other cities. He printed about nine books during his first year in business, mostly with the imprint of other publishers. 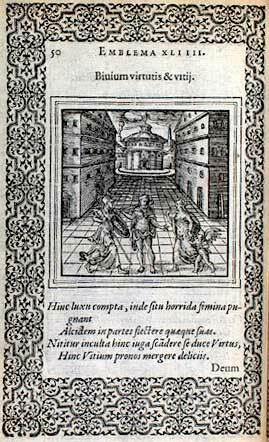 His first book to carry his own imprint was Flores de L. Seneca, a Spanish translation of excerpts from Seneca. In 1557 Plantin moved his home and business to the Kammerstraat, a street in Antwerp where most printers and other book trade workers were established. At this time he hired Jan Moretus (Moerentorf), a young man who was to become Plantin's son-in-law, business manager, and eventually successor in the Plantin printing business. Moretus was well educated; he was able to read Greek and Latin, and corresponded in several other languages. The Plantin press produced high-quality work, but for the most part the books printed in the first few years of business were common texts that Plantin could be reasonably sure would sell. He produced at least two outstanding books during this time; the first, in 1559, was an album of plates commemorating the funeral of the Emporer Charles V; the second was the Dictionarium Tetraglotton of 1562, which was a dictionary in Greek, Latin, French and Flemish. By 1562 Plantin had established himself as a respected printer, publisher, bookseller and businessman. In 1562, Plantin's troubles began. In that year he was accused of printing a heretical book called Breifve Instruction por prior. Plantin declared his innocence and pointed out that he had been in Paris on business when the book was printed, but it was clear that the book had indeed come from his press. Further investigation showed that three of Plantin's workers had printed the book in his absence and without his knowledge. Since by law Plantin was responsible for everything printed in his shop, not only were the three workers arrested but so was Plantin and his whole family. Fortunately for the Plantins (though not for the three workers), no evidence could be found to link him or his family to the printing of the book. Plantin's aquital on the charge of heresy does not mean that he was an entirely devout Catholic. Throughout his life he insisted that he was, a politically safe stance for a printer in his time and place. However, Plantin was probably at that time a member of a heretical sect called the Family of Love (and later another related sect, the Family of Truth), and likely printed books for them, in particular one called Spegel der Gherechticheit (Mirror of Righteousness), written by the founder of the sect, Henrik Niclaes. In any case, in 1562 Plantin suddenly left Antwerp, and his printing equipment and all his household goods were siezed and sold, ostensibly to pay his debts. The circumstances surrounding the sale are suspect; much of the printing equipment was purchased by Plantin's friends, who sold at least some of it back to him when he returned to Antwerp two years later. It is likely that Plantin's sudden departure from Antwerp had more to do with his fears of being convicted of heretical activities than with an improbable bankruptcy, and that the siezure and sale of his possessions was merely a way to keep them safe for later retrieval. Plantin went to Paris, where he remained for almost two years. On his return to Antwerp Plantin rebuilt his printing business, buying back what he could of his former equipment and obtaining the rest elsewhere. To get the capital he needed, Plantin entered into partnership with four Antwerp merchants, a partnership that lasted four years and produced over 200 books. By the time the partnership ended, Plantin had at least seven presses being operated by about 40 workers. The books Plantin printed for the partners were of very high quality, but sometimes controversial; at least two of the books published in 1564, an edition of Reynard the Fox and a French translation of the Psalms, were later placed on the Catholic Church Index of banned books. Plantin was forced to destroy most copies of the Reynard; only one copy is now known to exist (in the State Library of Munich). The growth of Plantin's business during the partnership forced a move to larger premises; in 1564 Plantin bought house on the same street, and named it De Gulden Passer (The Goldern Compasses). The partnership ended in 1567, probably for political rather than business reasons. It was around the time of the partnership that Plantin began printing emblem books, which were then enormously popular. Between 1564 and 1586 Plantin produced over fifty editions of these books in various languages, including Latin, French, Flemish and English. Emblem books ae collections of images with accomp-anying text; the text consists of a motto and an explanation, both often cryptic, that relate to the image. The books contained anything up to several hundred images of all sorts, taken from a variety of sources, including some from the Physiologus and the medieval bestiaries. The page image at right is from the Hadriani Iunii medici Emblemata, ad D. Arnoldum Cobelium of Hadrianus Junius, printed by Plantin in 1565. The Sancti Epiphanii ad Physiologum is not strictly speaking an emblem book, though it has some features in common with them. In 1567 Plantin began the fund raising and preparations for the printing of one of his most famous publications, the Polyglot Bible, a project that would not be completed for several years and that threatened to bankrupt the company. The Polyglot Bible was to be an edition of the Bible in Hebrew, Latin, Greek, Syriac and Aramaic; when finally published in 1572, the work required eight large folio volumes. Despite promises from Philip II of Spain to fund the printing of the Polyglot, Plantin had to pay for most of it himself, putting him deeply into debt. Philip repeatedly failed to provide the promised funds; Plantin writes that it was only the continuing strong sales of other religious works that kept the company from ruin. Up to four presses were employed full time, operated by about forty workers, to print the 1200 or so copies required. Even though he had not paid Plantin most of what was promised, Philip ordered 13 copies of the work to be printed on vellum for his own use; these vellum copies required well over 20,000 skins, which Plantin had to pay for himself.. When the printing was finally done, Plantin wrote "Now that the Bible is completed I am quite amazed at what I undertook; an enterprise which I would not repeat, even were I to be given 12,000 crowns as a pure gift." (Clair 1960, p. 76). That the Polyglot was ever completed is remarkable, considering the economic and political turmoil of the time. In 1570 Platin was appointed to the post of proto-typographer, a position he appears to have accepted reluctantly; it required him to examine other printers and verify their skills and their adherence to Catholic dogma, and gained him little except for the title of Architypographus Regii which was used on the title page of Plantin Press books from then on, including the title page of the Sancti Epiphanii ad Physiologum. His business was flourishing, and in addition to the Polyglot Bible and the liturgical books he produced, Plantin printed many scholarly works of botany, exploration, languages and literature. Then, in 1576, disaster struck again. In August of 1567 the Netherlands were terrorized by the arrival of the Duke of Alva, the military commander sent by the Spanish king Philip II to stamp out unrest and heresy in the Netherlands. This task he undertook with great brutality. One of his first acts was to gain control of the book industry; in one year several printers were banished and at least one was executed. Book sellers and printers were raided in the search for banned books, many more of which were added to the Index. Towns were attacked by Alva's troops, including in 1572 the town of Malines (Mechelen), the home of illustrator Pieter van der Borcht, who had been producing artwork for Plantin for some time; van der Borcht fled to Antwerp to take refuge in Plantin's house. In 1576 Spanish troops attacked and pillaged Antwerp, over three terrible days that came to be known as "The Spanish Fury". The soldiers rampaged through the city, killing and looting; they demanded money from citizens and burned the homes of those who refused to (or could not) pay. Plantin's printing establishment was threatented with destruction three times but was saved each time when a ransom was paid. Antwerp was economically devastated by the attack, and Plantin's business suffered. Yet somehow the Plantin Press survived. Though much reduced at first, with only a few presses in operation out of the twenty or more he had available, Plantin gradually rebuilt the business and by 1579 was in full production again. Despite his constant complaints of debt he managed to buy several properties in and around Antwerp, and appears to have been quite prosperous. In the 1580s Plantin continued to print the works of humanist scholars, as well as religious works (both Catholic and Protestant) and music. During this period he spent some time in Leyden, where he was appointed printer to the University there; his business in Antwerp carried on during his abscence. Plantin returned to Antwerp in late 1585. Plantin was by this time elderly and unwell. The Antwerp business had suffered from the constant conflict in the Netherlands, and was only a shadow of its former self. Despite his age and infirmity, Plantin within two years had rebuilt the business once again, though not to the levels it had previously achieved. Plantin was constantly plagued with financial troubles, illness and family strife, but continued to oversee the printing of books. He died in July of 1589, leaving the business to his son-in-law and long-time business partner Jan Moretus; the descendents of Plantin and Moretus continued as printers and publishers under the Plantin name until 1867. The business Christopher Plantin had founded and nourished outlived him by more than two centuries.